Once the case for fair funding for schools had been made by f40 (and other organisations), and accepted by the government, f40’s Finance Managers Research Team (FMRT) undertook extensive work on a new, fairer funding formula, and discussed proposals and modelling with the Education Funding Group at Department for Education. The proposal from the f40 group, which then represented 42 of the lowest-funded education authorities, initially made the case for a national funding framework for schools, to be introduced from 2017/18, but the government was unable to meet this timetable and eventually announced that a new national funding formula would be implemented from 2018-19.
f40 proposed a new model for distributing education funding in England which retained the existing Dedicated Schools Grant (DSG) structure with three blocks: Schools, Early Years and High Needs. The model allocated the funding available through a needs-based formula for each block, removing any reliance on historic spending patterns. In an initial campaign success, the government provided an additional £390m from 2015/16 under the Fairer Schools Funding banner. This was an acknowledgement of the unfairness of the then funding allocation arrangements. They made it clear that the extra funding was a first step, a down-payment, towards a new national funding formula. (Further information can be located in the Archive section. See Fairer Funding – background). Whilst welcoming the extra funding, f40 pointed out that the methodology chosen by the DfE for allocation of the extra cash between local authorities was flawed, in particular by being based solely on the Schools Block of the DSG. Regretfully the government was not prepared to reconsider its calculations. On the plus side, f40 argued that the extra funding should be baselined into schools budgeting beyond 2015-16 and this was confirmed by the government. We want a formula for distributing the national schools budget to local authorities based on a clear rationale: from 2017/18 education funding can be geared towards improving educational standards across the country rather than perpetuating an inequitable distribution of the national budget. The main building block is core entitlement at pupil level. The formula enables a school to have access to similar resource levels for a child’s basic classroom costs i.e. the share of a teacher and teaching assistant. The core entitlement reflects different needs and costs at the various Key Stages. The formula contains factors to reflect pupil level needs beyond the core entitlement (e.g. deprivation and high incidence SEN) and factors to reflect the needs of small schools that are necessary in a local authority’s structure. The DfE will need to provide clarity about what needs and outcomes each factor is seeking to address. In considering the national funding formula, f40 concluded that it favoured a proposal which resulted in a core formula to produce a local authority level total, with each local authority then having discretion on how the total is allocated to schools within the area. 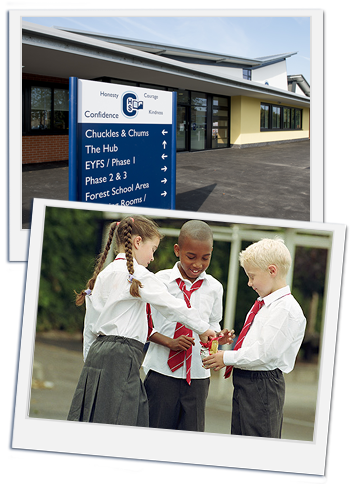 As every local authority has a different school structure and different methods of dealing with funding allocations, it is important that there should be adequate local flexibility and discretion, in discussion with the local Schools’ Forum, to move funding between Schools, High Needs and Early Years blocks. Our desire was to see a new formula-based approach phased in over a three year period. We acknowledged the need for year-on-year changes to be manageable for individual schools and also that some form of MFG for schools would continue. We stated that the government must also avoid a lengthy transition period which then perpetuates unfair funding. The Narrative, which outlines the basic thinking, can be viewed here.